We recently wrapped up the 2017 camp season. It was one of our most successful to date – and, we owe that to our amazing family of new and returning campers! The fall camp saw the return of tracking and frisbee to the schedule – both received rave reviews! We also launched the wildly popular K9 Kindness Rocks campaign and welcomed many new campers to the Dogwood family. 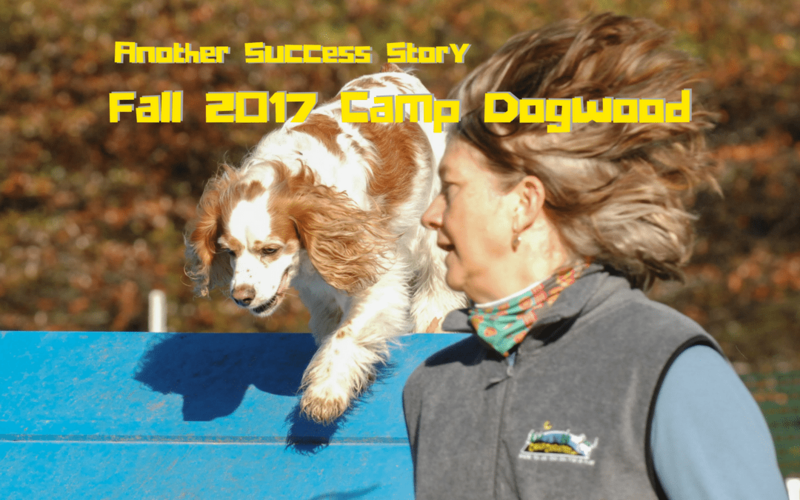 The dogs and their people left camp so eager to return…in fact, their positive praise and continued support has left Fall Camp 2018 almost SOLD OUT. Now, we are busy putting the finishing touches on Winter Camp, where we plan to celebrate the New Year (albeit a couple of weeks late) with bonfires, catered dinners, dog sledding, barn hunt, nosework, Canine Circus School and more. It’s the perfect holiday gift to give – for someone you care about and their dog – or, just for YOU! We are almost full, so don’t miss the chance to start 2018 – the YEAR of the DOG off on the right foot!